Featuring 20 pulse-pounding short stories, including Mark Souza's "Cupid's Maze," Love Kills: My Bloody Valentine celebrates the sinister side of romance. Forget flowers and candy-scare your lover into your arms this Valentine's Day. Including the talented works of Mark Souza, Lily Harlem, Phyllis Humphrey, Michael R. Colangelo, Marianne Halbert, Jack Horne, D.B. Reddick, Jessica A. Weiss, Jeffrey C. Pettengill, Neil Coghlan, Adrian Ludens, Harper Hull, David E. Greske, J. Troy Seate, Rebecca J. Vickery, John Pennington, C. Douglas Birkhead, Matthew Dent, Ruth Barrett and Rich Sampson. 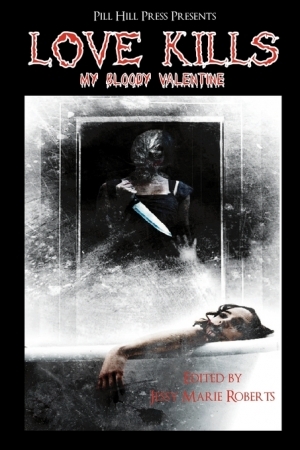 This macabre collection of Valentine's Day horror is a devil of a good time. This title was added to our catalog on February 01, 2010.